Are you ready for Christmas yet? Me, neither! I have a couple of gifts purchased already, but I need to find a few more, as well as keep the children happy with some Christmas crafts, which is a tradition in our home. With the closure of some high street craft and gift shops, I was wondering what we’d do. 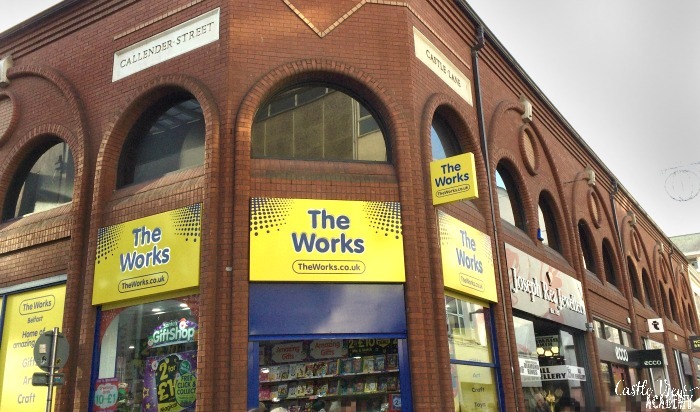 Fortunately for us, The Works now has a city-centre location and it’s so very handy! This is a sponsored post, see our disclosure for more information. I was already familiar with The Works, but until a few months ago we had to make a special trip to visit. Now that they have a shop in the city centre, I have the pleasure of asking Phil to stop in during his lunch and pick up our crafting supplies. It also means that when the children and I are in the city for a meeting, we can stop in and have a good look around, stock up, and make mental notes of anything we ‘might need’ in the future. 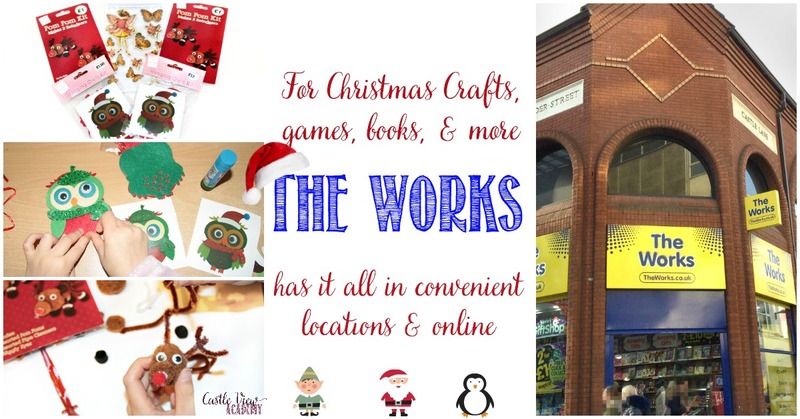 The Works is our go-to place for white card stock (which we use a lot; think Christmas cards, kids’ art work, etc), craft embellishments, as well as gifts for family and friends. And because we’re so familiar with their products, we know they also shop here for our children as well! Just last week my children received a package from my long-time pen-pal (we’ve been writing to each other for about 30 years now). He’s over in England and doesn’t have his ‘own’ family, but each year makes an effort to send our children a little something at Christmas. 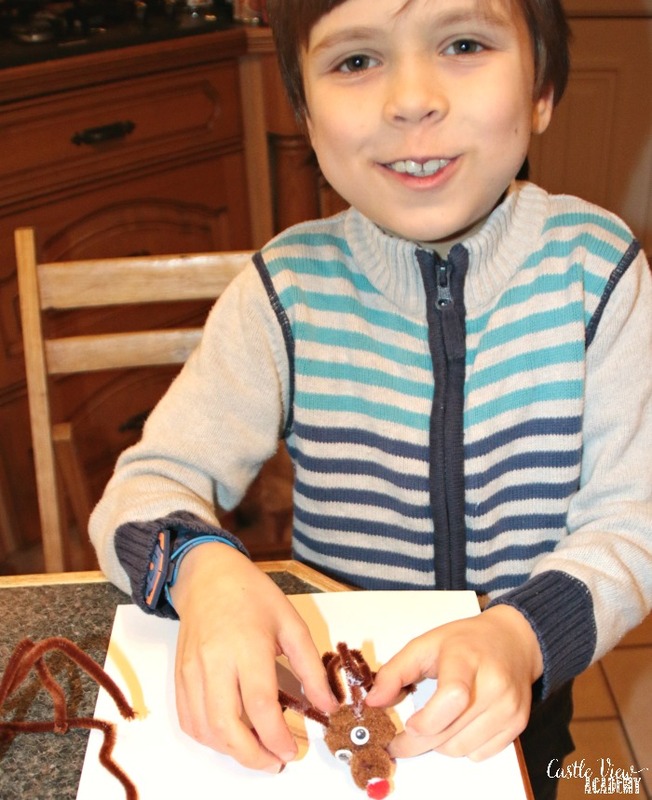 Even though he is unwell this year, he sent the kids an extra-special package that they weren’t expecting. 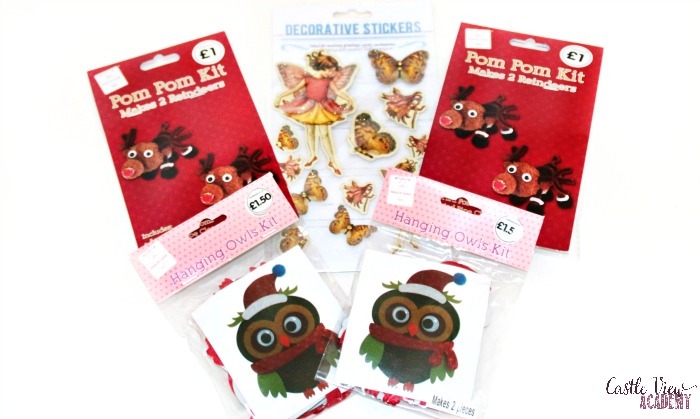 Along with Christmas cards and notes for us all, he sent Tristan and Kallista some Christmas crafts to make. And yes, you guessed it – they were from The Works! Nothing makes my children happier than crafts! They set up the kitchen table and started to make them right away. 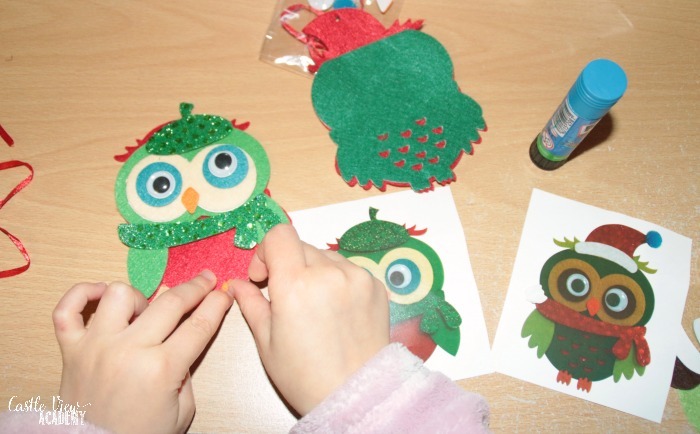 Kallista began with the cute felt owls. 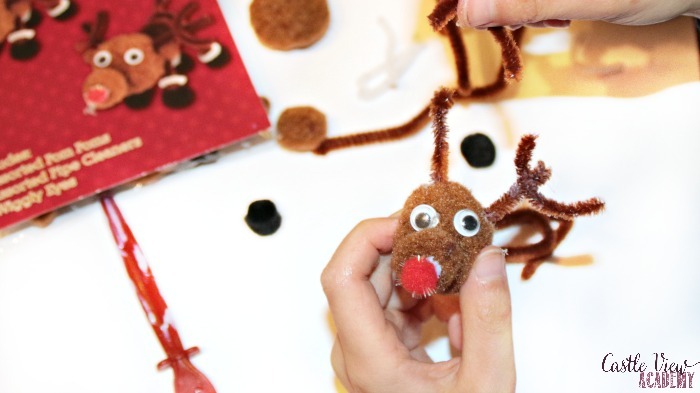 Tristan began with the pom-pom and pipe cleaner reindeer. Spending some time crafting really helped cheer the kids up and take their minds off the fact that they had sore throats and laryngitis. They were able to create cute Christmas crafts. Each kit came with enough supplies for two projects. With two kits each that meant that they have plenty to keep, and they are also carefully considering who they will give some of their creations to. They love to share their handiwork with other and brighten up the days of others. 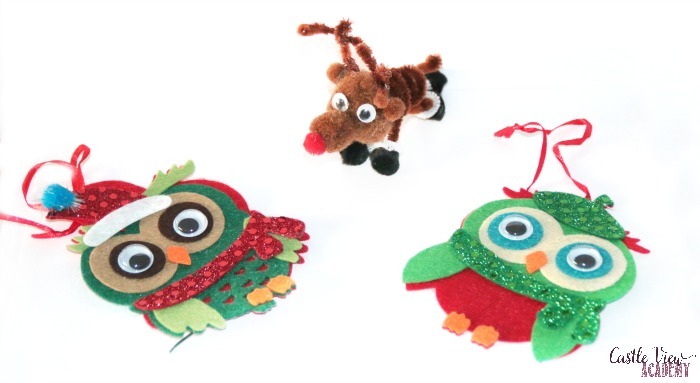 If you’re looking for Christmas crafts for your children, stop by The Works for craft kits, individual craft items such as pretty papers, glitter, acrylic paints and canvases, as well as larger craft kits for knitting, string art, and more. And don’t forget about the other fun items they carry: games for the whole family, books, stationary, and even gift baskets and wrapping paper, yes, The Works really does have the works! This has been a sponsored post by The Works, but the text and enjoyment was ours.